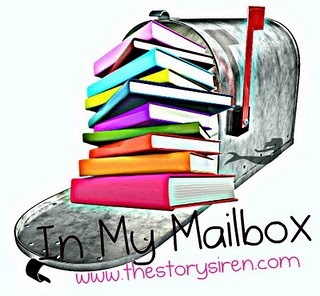 In my mailbox is hosted by Kristi over at the Story Siren, check out her blog for information on how to participate and to also se all the other participating blogs! Thats all folks! I steered clear of the library this week, I need to finish the books that I own before I go and borrow more! What was in your mailbox this week?? Leave me links to your IMM post so I can comment back! I hope you enjoy Divergent!! Working Stiff sounds great. I love Rachel Caine! And Divergent was AMAZING- hope you enjoy it! I hear ya on steering clear of the library, but I still can't resist ha ha. Ooh, I need to read Divergent still. The only series I've been reading of Janet Evanovich's is the Stephanie Plum series (which I'm happy you mentioned it doesn't lose steam as the books go on). And I like the Morganville Vampires books by Rachel Caine, but I haven't picked up Working Stiff. I'll be looking forward to your reviews.